Managing your baby products business can get easier when you work with a trusted third party logistics provider that can fully handle your company’s fulfillment, packaging, warehousing, and distribution needs. At 3PL Center, we provide innovative solutions that can help you overcome the toughest logistics challenges. What’s more, our services are customized to your unique position in the baby products marketplace. 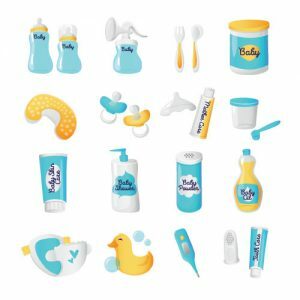 For starters, the baby products industry comprises of a wide range of commodities, including feeding accessories, baby food, toys, diapers, baby body care products, and more. With the increase in baby population, the baby products sector has also expanded greatly significantly over the years. In addition, studies have shown that there is a drastic change in lifestyle as well; more mothers choose to return to work earlier than usual. These changes increase the demand for breastfeeding equipment such as sterilizers, packaged baby food, and pumps. If you manage a baby products business online, and need to deal with multiple orders at a go, meeting your logistics challenges alone can be a real handful. What you need is a trusted third party logistics partner, which can help you save a wealth of time and money for your baby products company. Why Choose 3PL Center for Your Baby Products Business? Since our inception, we have worked with small, mid-sized, and large organizations in the baby products industry. We have a combined experience of more than 45 years, and have gained a deep understanding about the baby product niche. When it comes to third party logistics, we are chosen by many baby product businesses. Warehousing: Our warehousing facilities are designed handle your baby products inventory in an organized manner. Our professional warehouse employees help maintain the complete security, insurance, safety, and environmental compliance of our facilities so that you can enjoy complete peace of mind. Fulfillment: We offer an affordable and scalable fulfillment service. Our proprietary fulfillment software is available 24/7, and you can use it to find out exactly the status of your baby products stock. Distribution: When it comes to the distribution of your baby products orders, our reliable transportation services help optimize the entire distribution process. You can also enjoy discounted carrier rates as well as see your orders reach your customers in two days or less! We greatly value customer satisfaction, and that’s why 3PL Center practices a client-first approach in what we do. We understand that no two companies have the same logistics requirements. Our team is always on-task to customize our solutions to accommodate the fulfillment needs of your baby products business. If you wish to know more about our third-party logistics capabilities and how we apply it to the baby products niche, don’t hesitate to send us an email to sales@3plcenter.com or give us a call at 732-391-2500 today.